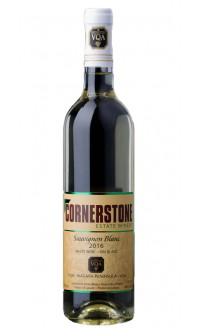 Sorry, Cornerstone Estate Winery does not ship wine to United States. Handpicked and hand sorted from reduced crop. Naturally fermented in stainless steel tanks. Nose: Starfruit, grapefruit, lime zest and chamomile. Very clean, intense, and fresh aroma. 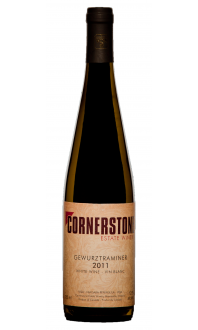 Palate: Bright (but lower) acidity, with a touch of sweetness and citrus, nice minerality, and great structure. A hint of white peach, and a clean finish with just the slightest touch of petrol. 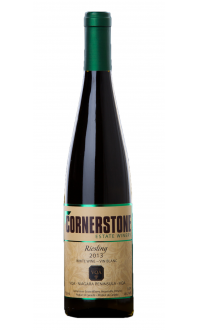 Food pairings: Try this Riesling with some heat, like spicy chicken Thai drunken noodles, or something sweet yet savoury, like a honey-and-soy roasted pork shoulder. Both food friendly and great as a sipping wine. 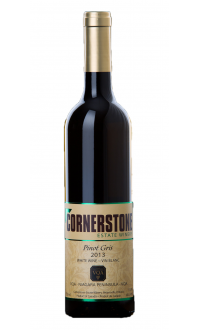 Pairs well with Feta, so have a glass with your Greek salad! Enjoy it on the patio this summer, well chilled.